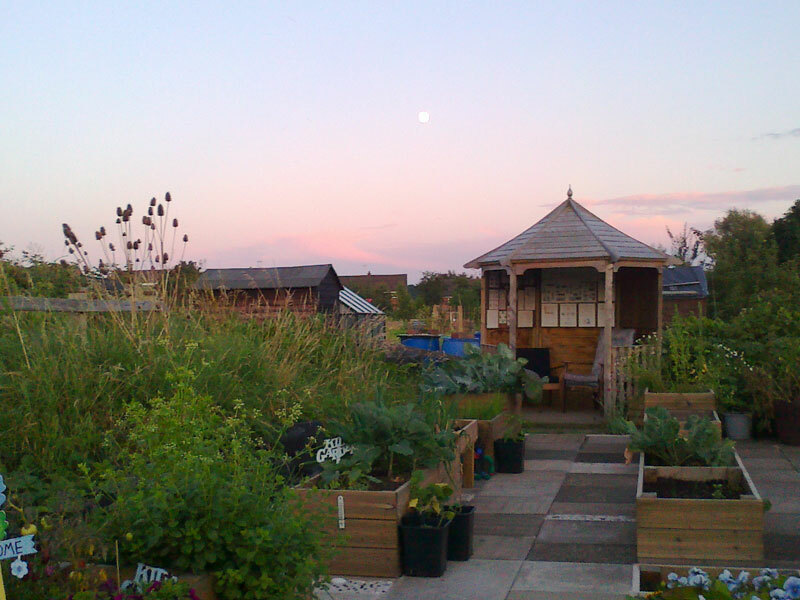 This lovely photo was taken by Dig In volunteer, Paula, during an evening watering session. The Come Dine With Me session on site today was a big success. No less than 27 people came, alongside regular volunteers. Mary made green risotto with peas and spinach harvested from site. 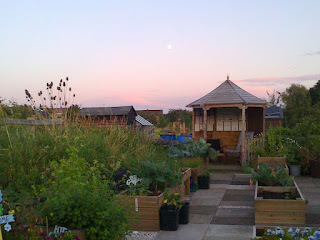 We harvested the first of the tomatoes for the salad, along with courgettes and cucumbers. Desert was fruit salad made with berries all harvested on site. Summer is finally here!